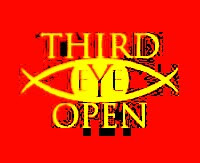 Your 3rd 3Y3 is located in the center of the brain & it is known as the Pineal Gland. The 3rd 3Y3 is a natural part of every person, but it’s a “Meta” organ. In other words: it consists of all the senses and mind working together as a larger more powerful sensory organ. Once opened it’s a very powerful ability, powerful enough that it literally can drive people insane if not understood, accepted or developed correctly. Opening your 3rd 3Y3 is an important key factor in your spiritual transformation and continued elevation on this planet!! Posted in Spiritual Post'sTagged Abundance, Awaken Third Eye, Crown Chakra, dreams, Education, goals, God, growth, happiness, inspirational, joy, love, Peace, Prosperity, spirit, spiritual, teen, teens, third eye, Third Eye Open, wealth, wisdom, wise, youthBookmark the permalink.